I had the best time at your studio last night! I am so excited to come back! Thank you, thank you, thank you. Tools and equipment are nice but the vibe and the attitude make it sublime! You ROCK! So much fun! I didn't even know I could paint! This was a great day!! Thank you!! Can't wait to comeback next week! I did ‘Paint My Pet', and don't know when I had so much fun. It came out so well, I took the painting right home and showed my dog. I'm pretty sure he loved it, too. As our business continues to grow and evolve, we’re looking for new, ambitious partners to join us in our mission to paint their way to success. We’re a dynamic, unique company with a strong business model, and we’re looking for motivated people to help us grow our business. Our company brings something unique to the table of entertainment - giving artists young and old an alternative to the typical day or night out. 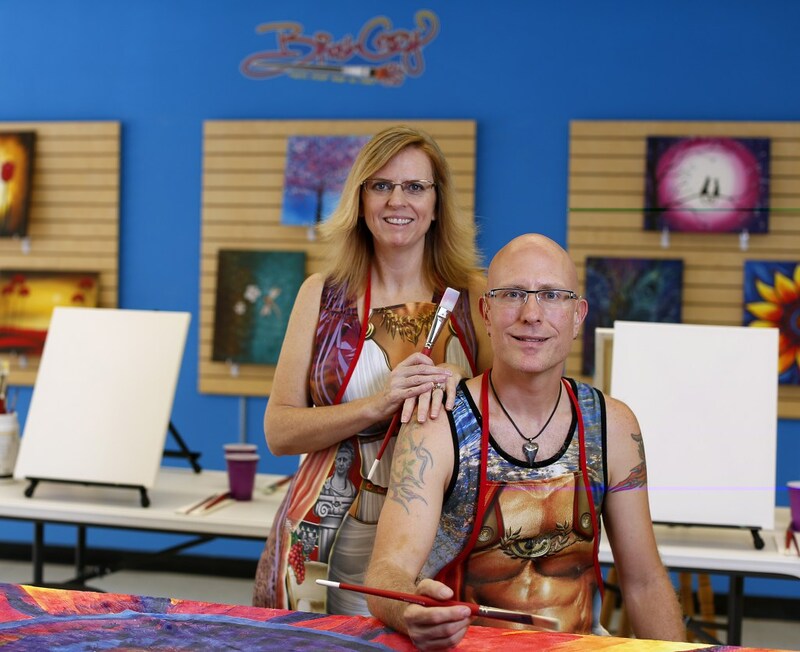 Other studios limit their business model to just canvas or ceramics, but at Brush Crazy, we offer you multiple revenue streams - right from the start. With Brush Crazy, your business isn’t dependent on filling canvas classes. With our unique Walk-In Open Paint option, as long as your doors are open, customers can come in and paint what they want, when they want. Ceramics, wood signs, and canvas options give your customers a variety of choices, on a more flexible schedule than a paint class calendar. If you’d like to take the next step in starting your own business, check out what the Brush Crazy franchise program has to offer for budding entrepreneurs. You don’t have to go it alone - with the full power of the Brush Crazy marketing machine behind your business, we’ll help you get the word out about your new Brush Crazy location, and keep customers walking in the door. Interested in becoming a Brush Crazy franchisee? Use the contact form to send us a message, and we will be in touch to set up an interview. Please include your phone number and the location you are interested in franchising in your message.